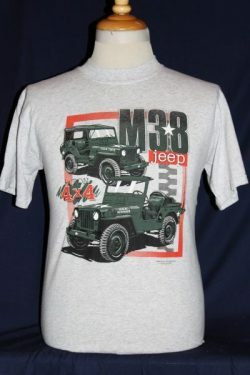 The US Army M38 Jeep T-shirt is a single sided print in grey. Front Design Only: Covered and uncovered version images of the M38 Jeep. 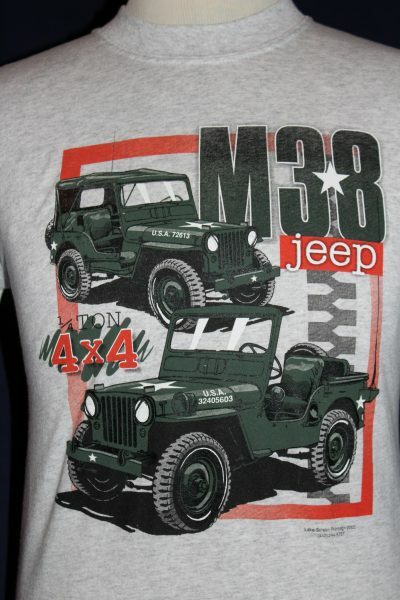 Jeep images screened in green with M38 jeep and 1/4 ton 4x4 text.